The 82nd Airborne Division Association President and Board of Directors cordially invite all Association Members to join us as we celebrate with the 82nd Airborne Division. 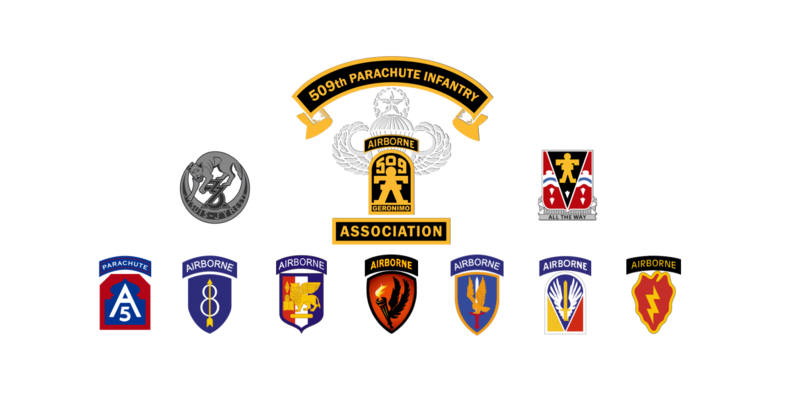 To call the hotel and reserve your room, please call: (479) 783-1000 and ask for the rate code 509 Paratrooper Reunion. Room rates are $109 per day, which includes a fully cooked breakfast for two (2) and complimentary WiFi. Tax is currently 9.75%. Parking is complimentary. For our hotel block reservation is: May 13th, 2019. That's as long as the block is not filled by that time! After that date and once the blocks are filled, room rates will be set by the hotel. The hotel operates a complimentary shuttle service to and from the airport. The “Command Post” (CP) provides a full-sized meeting room to relax, visit, and just hang out with friends. It also includes complimentary snacks, beverages (e.g., sodas, regular/decaf coffee, hot water f/tea, etc. ), and alcohol (21 and older)! The costs of these things are included in your registration fee. Please tip your volunteer bartender! Ensure that you register/pay for additional attendees that want to access the CP or join the banquet dinner on Saturday. CP room opens at 1:00 p.m. and closes at midnight. Normal amenities will be available, along with 509th merchandise and reunion check-in and registration support. This date marks the 75th Anniversary of D-Day! The Association plans to observe this day and will update attendees on the details once the schedule is firmed up! CP room opens at 9:00 a.m. and closes at midnight. CP room may be closed if we host lunch at a nearby off-site location. Another complimentary lunch will be provided on this day for all registered guests! This will be a true Southern “Mudbug Boil” (Crawfish Boil), hosted and paid for by one of our own 509th DMoR: Mr. Eric “Skid” Luneau! It will include spicy boiled crawfish, sausage, corn, potatoes, etc. If you have a shellfish (or other) allergy, make sure to let us know in advance! He is prepared to boil a separate pot without the shellfish. Again, we’re not sure if we can have him host this on-site at/near the hotel. More information to follow. We will also have a bean bag toss tournament around 4:30 p.m. at the hotel. Sign your team up and pay in advance with this registration form or on-site. It’s only $20 a team, (2 person team). Be advised WE MOVE to the Memphis/Tulsa Room on this day! CP room opens at 9:00 a.m. and closes at Noon/12:00 p.m., to allow for the board meeting. Membership board meeting begins at Noon/12:00 p.m. and ends at 2:00 p.m. Normal CP amenities and bar will be closed during the board meeting. CP room will re-open following the board meeting and closes at 3:00 p.m., to prepare the room for the dinner banquet. Dinner banquet reception will begin at 5:45 pm, preferred dress: “business casual” attire. There will be a cash bar (hotel operated) until 8:30 p.m. (during dinner). At 6:45 the Posting of Colors will be conducted. Our CP bar will re-open at 8:30 p.m., and a DJ will be onsite for dancing after dinner.